A Life without End is a future-set novel that faces morbid issues in an ultimately loving way. 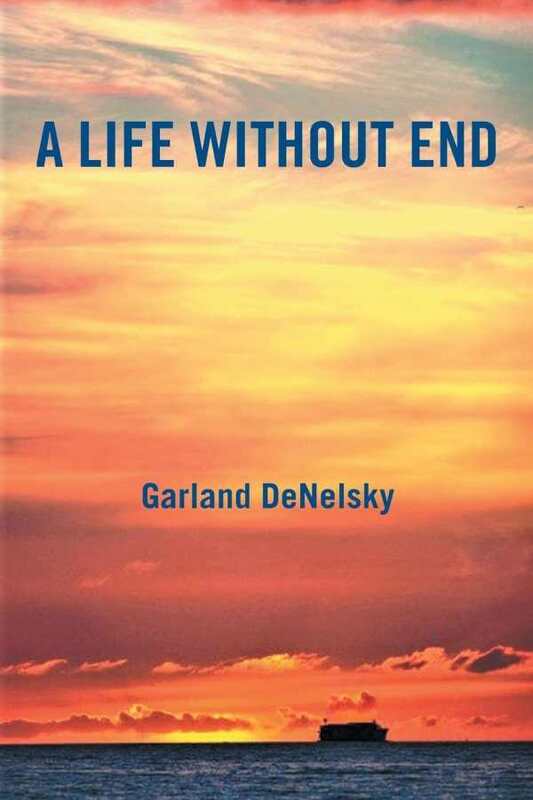 Garland DeNelsky’s insightful, buoyant novel A Life without End probes questions about life after death. Stan Miller has been fascinated by death since the childhood loss of his dog. Fueled by his love for his family and work, he searches religions, science, and psychology for answers about the afterlife. When he is diagnosed with Lou Gehrig’s disease, he opts to prolong his life through cryonics; he comes to doubt this choice when, after he is reanimated on a Caribbean cruise, he finds himself lonely and decrepit in a future he barely understands. Stan’s story is told mostly in retrospect. The cruise affords him ample opportunity for reminiscence and reflection. Instead of present adventures on the ship or in harbor towns, he enjoys reliving his past experiences during frequent naps and ambles around the deck, setting a relaxed, thoughtful tone for the narrative. Provocative in its exploration of interesting ideas, the book is staid; not much happens outside of Stan’s mind. It is more theoretically exciting than exciting in its actions. Befitting Stan’s background as a biology professor, the writing is no-nonsense. Stan asks pointed, straightforward questions: What happens after death? What is the point of living if death is inevitable? The prose similarly cuts to the chase. Descriptions of the love between Stan and his wife and number-one reason for living, Lea, are specific (they have in-depth conversations and respect each other’s outlooks) more than vivid and lyrical. The dialogue is dry and academic, at times sounding too formal and stilted for exchanges between family members and close colleagues. The novel is dogged in its pursuit of answers about life after death, and the obsession becomes burdensome as questions of how to enjoy the present moment are overshadowed by ultimate concerns. Funny moments lighten it, especially Stan’s self-deprecating remarks and quips about his neurotic habits. A balanced array of religious and scientific beliefs, including Orthodox Judaism and Christianity, are explored with dignity and care. Stan is a charming lead who endears himself to those he meets, particularly one of cruise staffers, Rosemary. She counterbalances the serious mood with her tender beauty. As the primary representative of the future, she introduces technological advances including a Mechanized Transportation Appliance (MTA) and Complete Life Application Device (CLAD), as well as new relationship mores. As Stan’s relationship with Rosemary progresses, the book’s focus shifts from questions about overcoming death to concerns about how to live. Rosemary’s inclusion saves the narrative from becoming too pedantic.